What a fabulous week we’ve had virtually touring around the globe with Debra Tidball and The Scared Book! Who’s had a blast?! We’ve been fortunate to be able to get to know more about this talented author, where her ideas stemmed, and even got up close and personal with The Scared Book itself! We’ve had marvellous inclusions from illustrator extraordinaire, Kim Siew, and lots of other fun being creative. All the while there have been several fantastic competitions to enter – but if you haven’t entered, or want another chance, it’s not too late! Have a look at what’s on offer here. Click the images to find out more information. 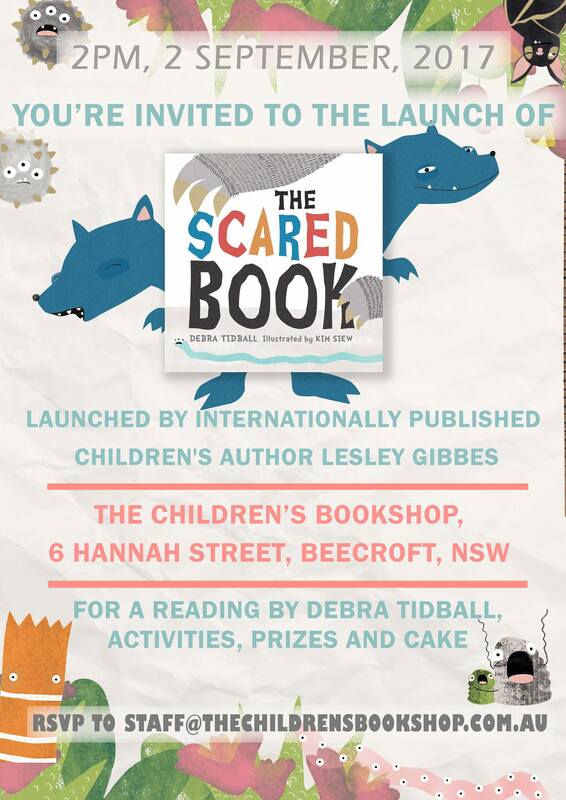 Debra Tidball’s ‘The Scared Book’ Blog Blitz now has its own page (still in progress!) where you can catch up on all the events from the tour. Find it at this secret location! Loved reading the book and sharing with lots of children! Glad you enjoyed it – and good luck! Thanks Renee 🙂 and ditto re Romi – Shes made an amazing tour! Thanks Kirsten – just the comps to finalise now – good luck! Thanks everyone for following along. It’s been such fun to have you along for the tour with us. Massive thanks to Romi! And good luck to all who commented on the blogs – fingers crossed! Awesome book blog tour, Debra and Romi. Deb, your book sounds intriguing and a fun read.